We are whole saler of structural steel for fabrication like angle, channel, girder/joist/beam, flat/pati, gp sheet for duction, gc sheet etc. 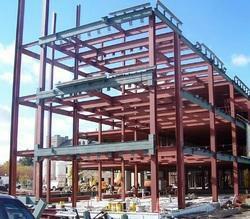 Structural steel is a category of steel used for making construction materials in a variety of shapes. Many structural steel shapes take the form of an elongated beam having a profile of a specific cross section. Structural steel shapes, sizes, chemical composition, mechanical properties such as strengths, storage practices, etc., are regulated by standards in most industrialized co untries. Looking for Structural Steel For Fabrication ?